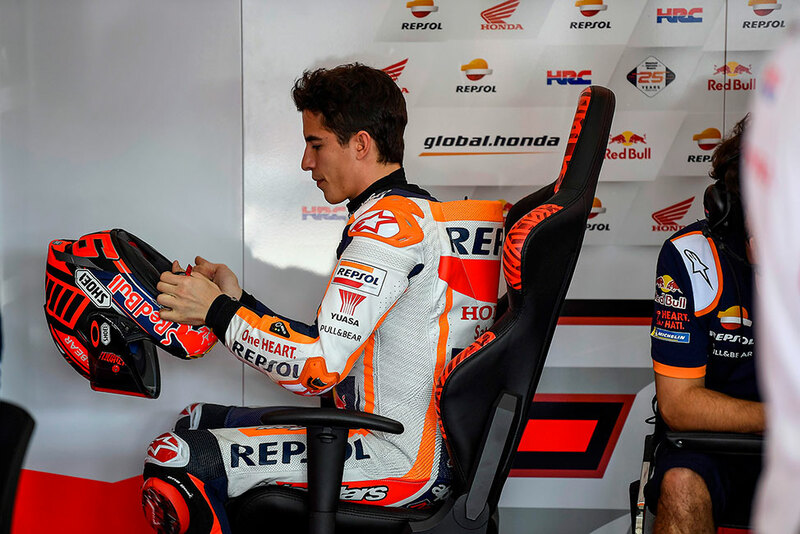 Marc Márquez and the Repsol Honda Team will next be on track for the Qatar Test, February 23 – 25, where Jorge Lorenzo is scheduled to return from injury. Day three was very positive, especially with my physical condition – I’m feeling much better. Yesterday I was a little worried about riding today, but I woke up and felt better. We were able to try many things for Honda today and I felt really good on the bike, comfortable and consistent. Everything we had planned to do this test, we have done. Of course I would have liked to ride more but we had to take it a bit easy. Even so, I’m happy because I was riding easy, not in my riding style but I was able to ride more. I didn’t crash and we tried the most important things for the Repsol Honda Team, I am happy because of this.